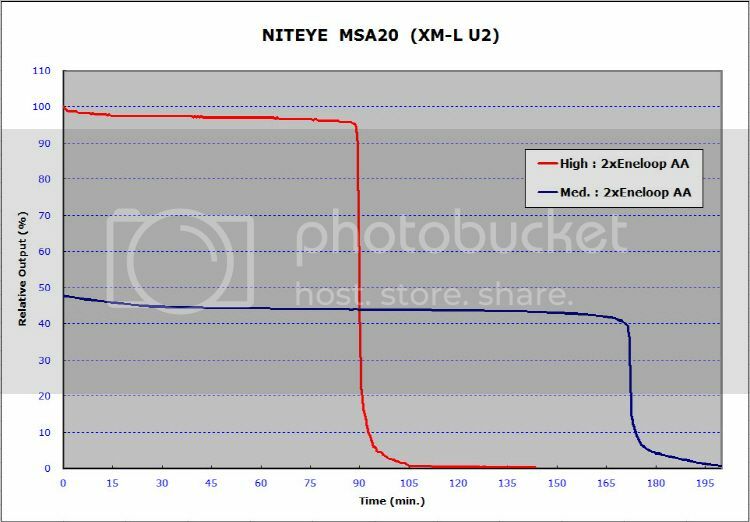 The prototype Niteye MS series were lent for review by C&P Corporation. 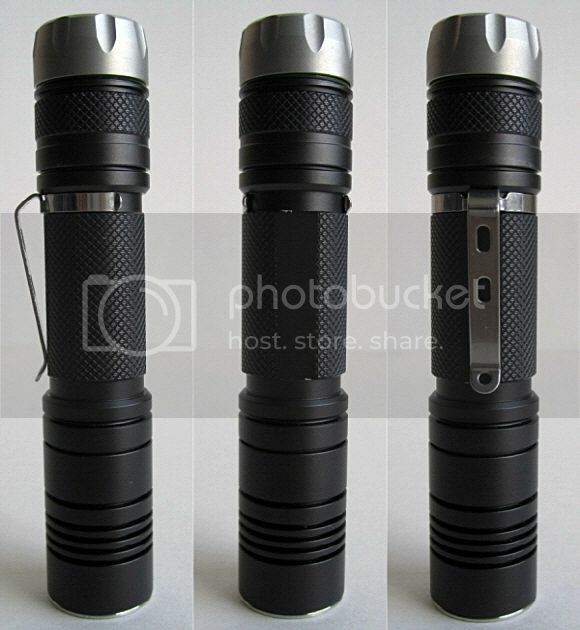 Please note that these MS series for review are, properly speaking, mock-up test samples rather than prototype. The most distinctive aspect of the MS series is the tailcap control switch interface (i.e., magnetic control ring & PD switch). 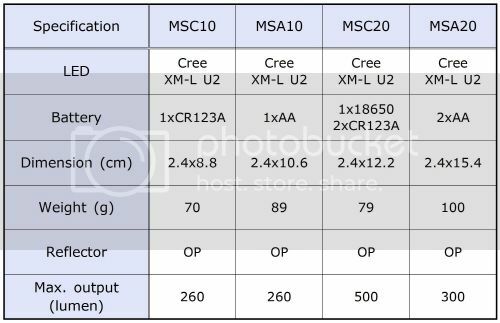 This review will briefly look at all members of the Niteye MS series - MSC10 (1xCR123A), MSA10 (1xAA), MSC20 (2xCR123A or 1x18650), and MSA20 (2xAA). I will show you the general overview for the rest except MSA20 (2xAA), as all lights have a number of things in common. I received the lights only without a packing case, manual, accessories, and so on. So I have no idea what final packaging and physical appearance of the MS series will look like. 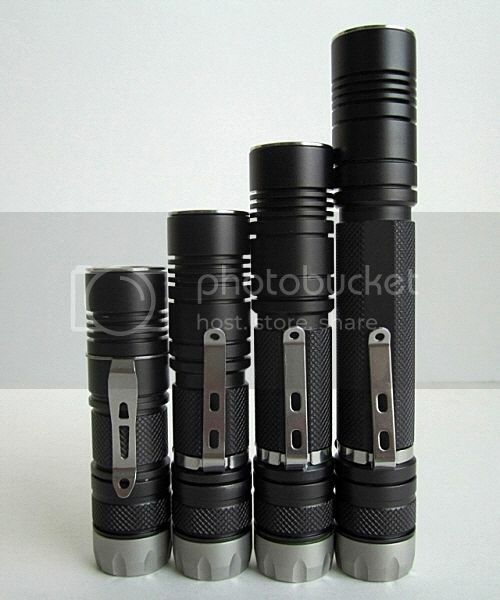 The anodizing which seems hard(type III) is a matte black. 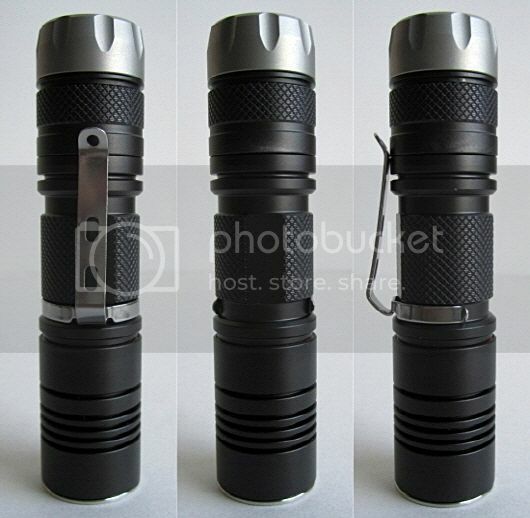 There is no label on the light body, due to the test sample. 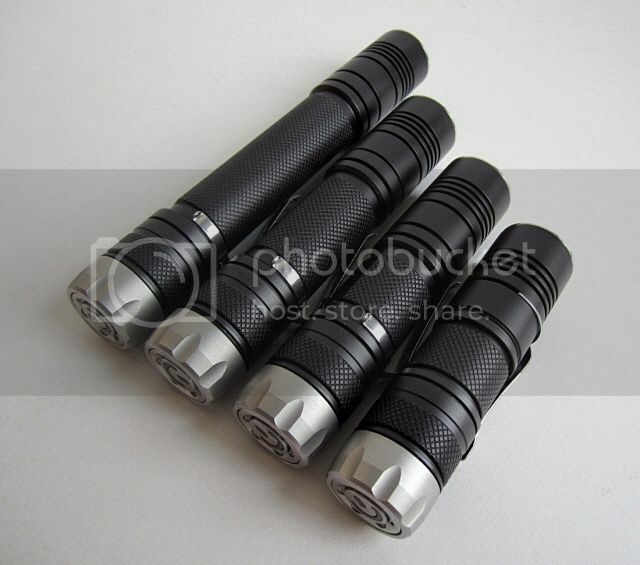 The knurling is present over most of the battery tube except two sleeky flat sides. The tailcap is covered by a band of knurling. 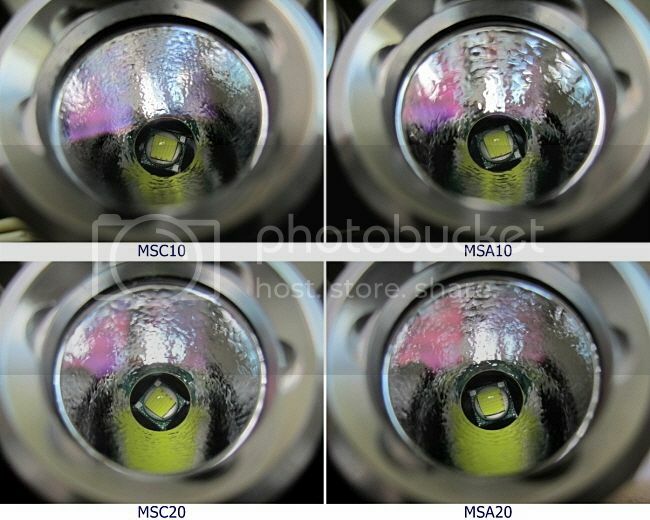 Note that only MSC10 has no sleeky flat sides and it is just pure cylindrical design concept. 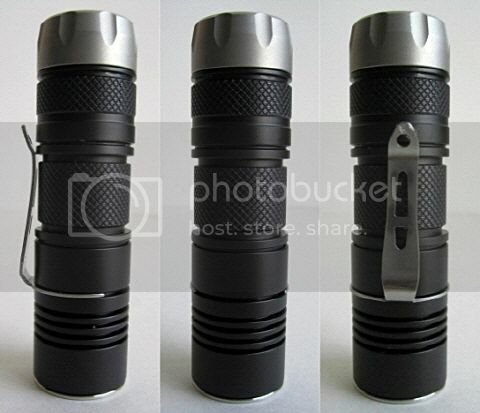 The stainless steel clip-on pocket clip is basic, but seems to hold on well. The clip is tail-facing, and not reversible for MSC10 only. But the clip is head-facing, and reversible for other members. 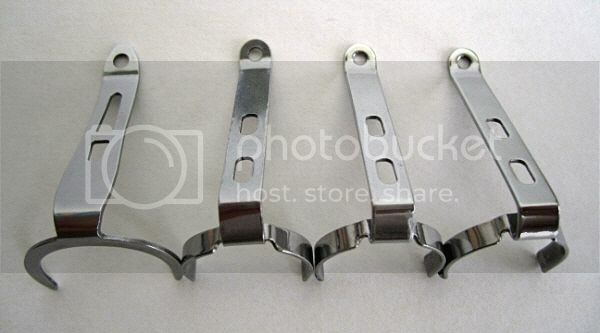 All clips seems to be sturdy and good quality. 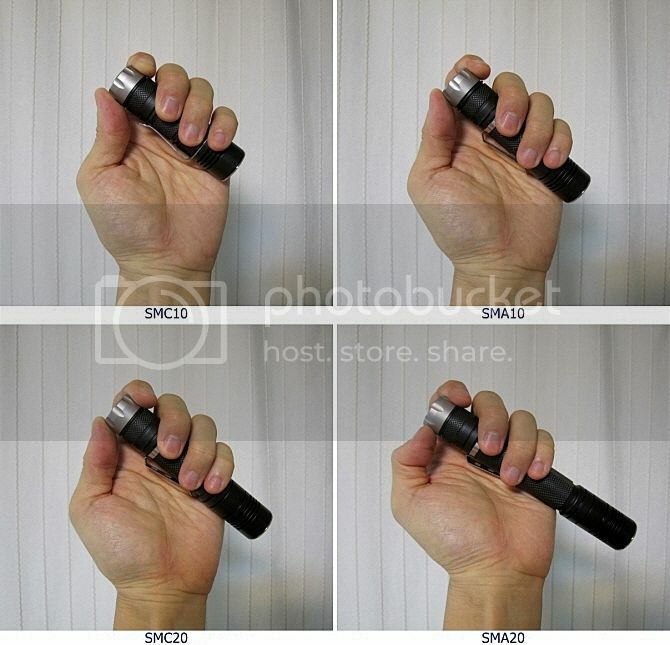 The light has 3 parts (i.e. 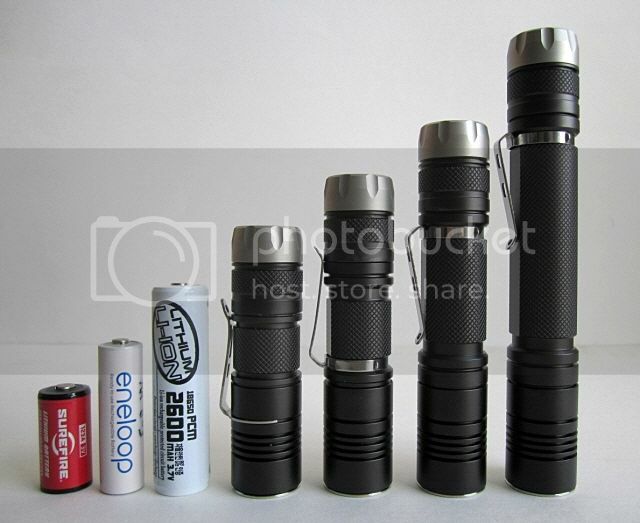 head, battery tube, and tailcap). 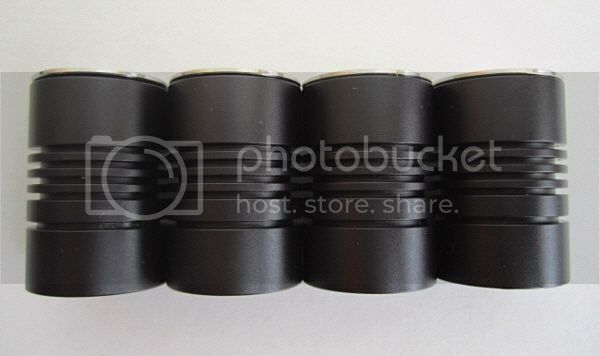 The stainless steel clip works as a good anti-roll device as well. 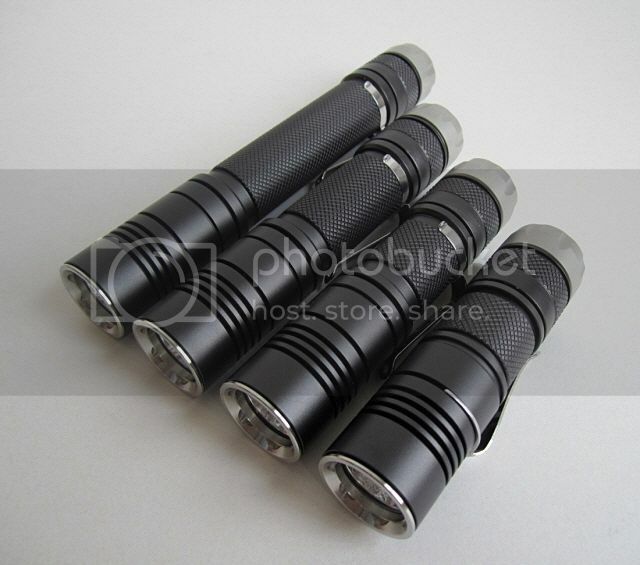 As you can see, the MS series are among the most cylindrical of all the lights, The head & tail diameters are same, and the battery tube is only slightly thinner. 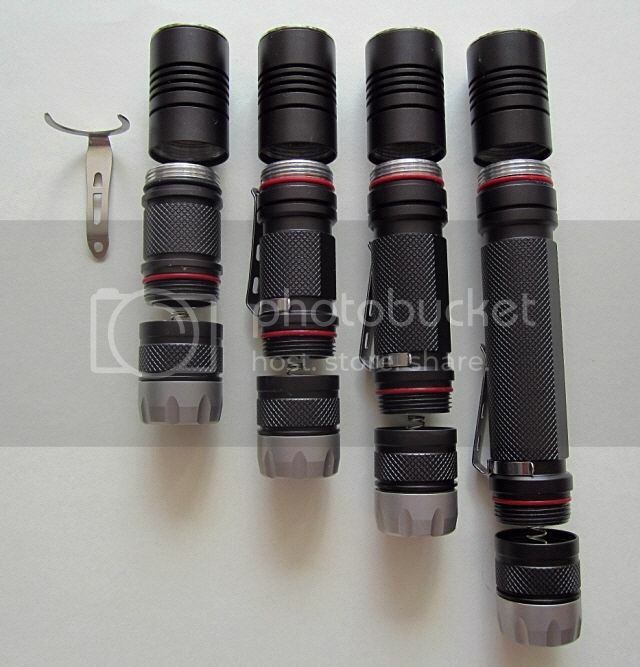 Note that the heads, tailcaps and battery tubes are physically interchangeable among the four models. But I don't know which models use a same circuit from the rest. 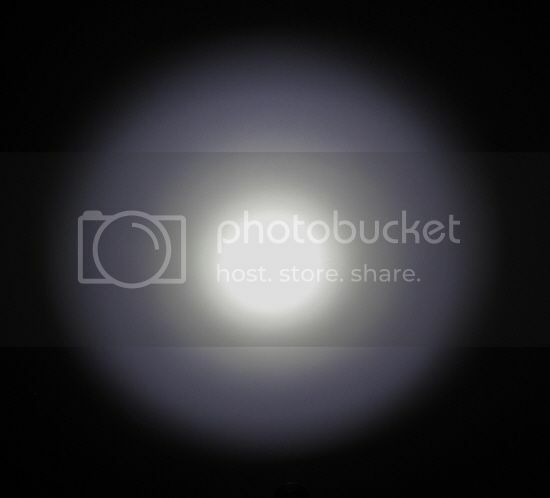 The light has a flat and somewhat deep stainless steel bezel. 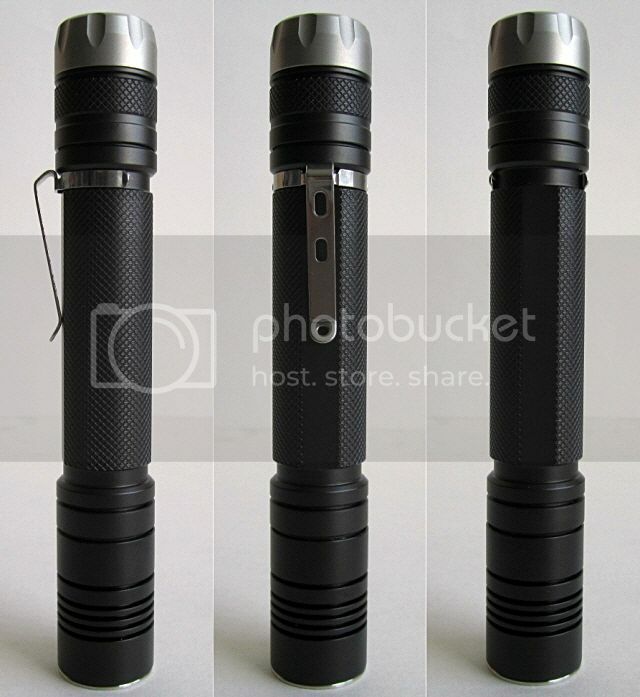 There are three thin & deep cooling fins for heat dissipation on the head. The positive battery contact has a circular raised lip (or bump) which works as a mechanical (or physical) reverse polarity protection. But the SMC20 has no circular raised lip. - It probably seems to have a reverse polarity protection in its circuit. The light uses AR coating lens and the purple hue is reflected on it. The aluminum reflectors have a medium orange peel pattern, and are identical for all four members. 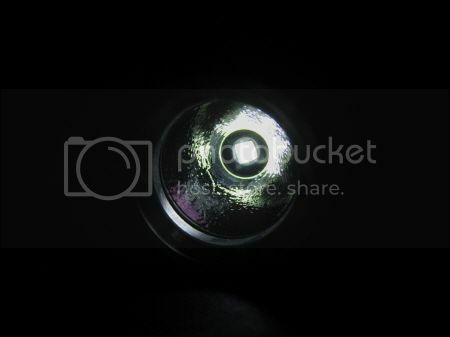 They are well polished with no noticeable finishing flaws, and well-centered XM-L U2 LED sits at the bottom of the reflector cut. Knurling on the battery tube is not aggressive, so overall grip is not reasonably good (i.e., less aggressive than most). 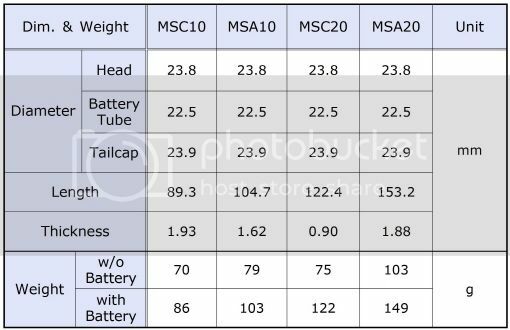 The MSC10 has the most thickest wall of the battery tube, but the MSC20 is just the opposite. 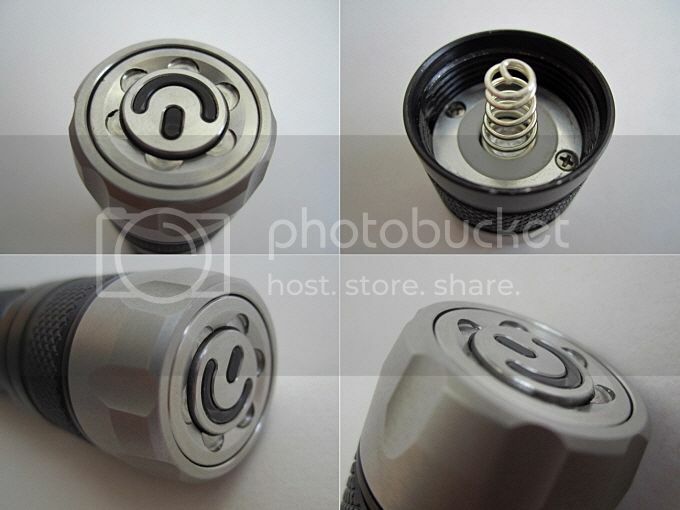 Battery tube of the SMC20 is wide enough to accommodate protected cells (i.e., it can take my wide & long high-capacity protected 18650 cells), and works fine. Both front and back threads on the battery tube is symmetric, and look like trapezoidal-cut but nearly square-cut. 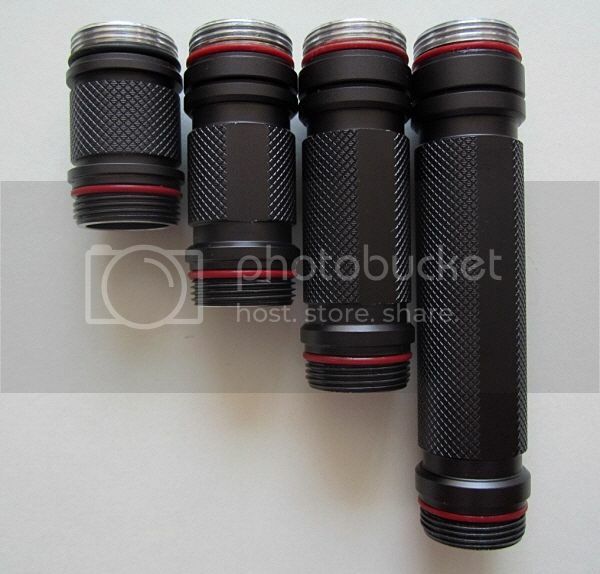 Tail threads are anodized at the battery tube and tailcap region, allowing for tailcap lock-out. They are smooth with no cross-threading or squeaking on my samples. 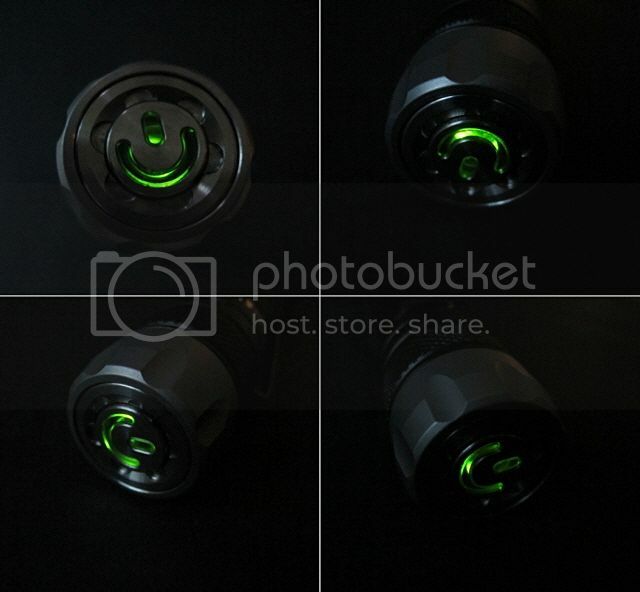 The clip has no grip ring bundled with light. 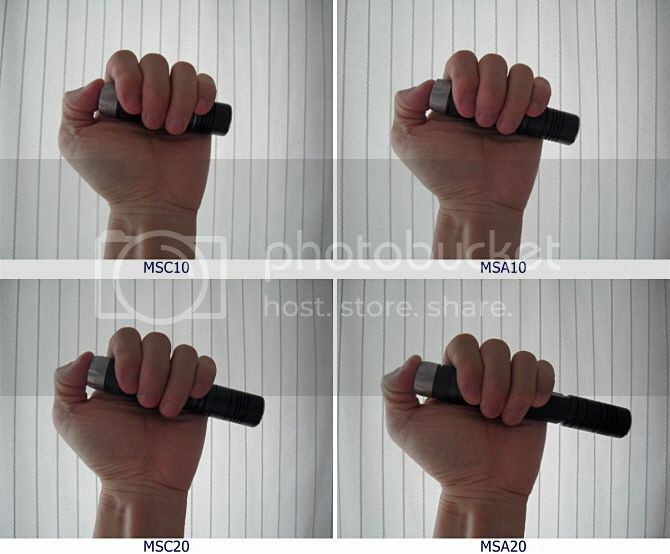 The clip is just the same in MSA10, MSC20, MSA20 except MSC10. 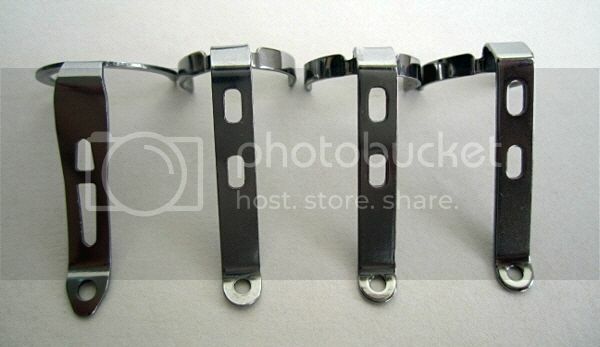 The clip is reversible for MSA10, MSC20, and MSA20 except MSC10. (i.e., it can be positioned for bezel-up or bezel-down carry. 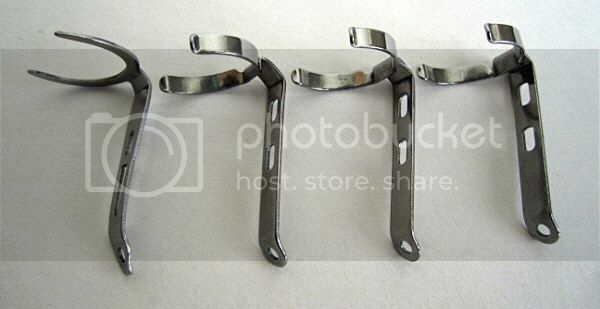 But with this kind of the clip, there is a risk the light might catch on something and be pulled off.) All lights can tailstand stably. The overall build quality seems very high. 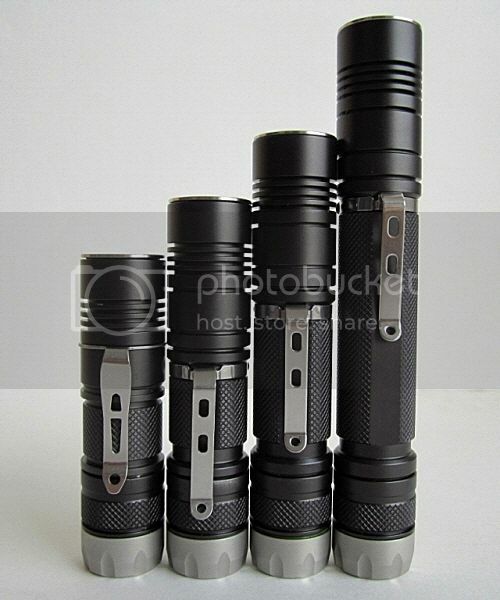 From left to right : Panasonic CR123A, Eagletac D25C, Sunwayman M11R, Niteye MSC10, Thrunite 1C. 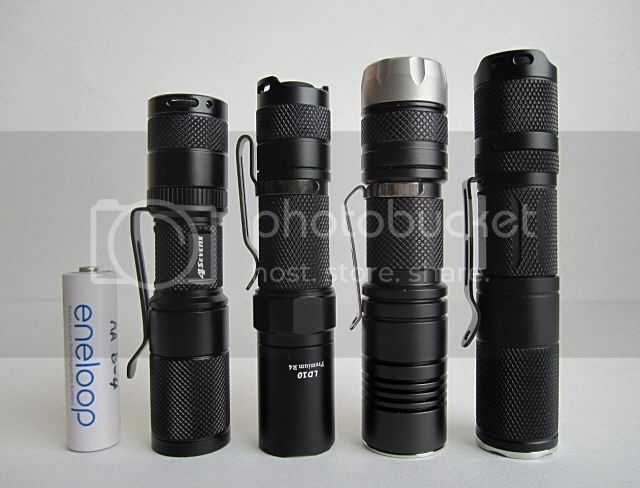 From left to right : Eneloop AA, 4Sevens Quark AA, Fenix LD10, Niteye MSA10, Thrunite 1A. 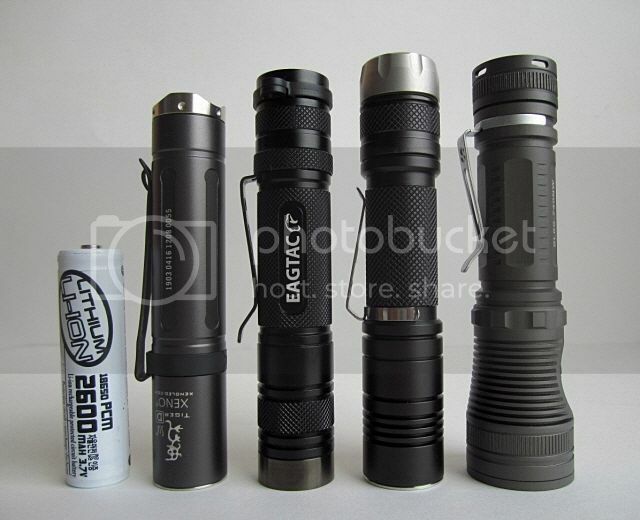 From left to right : VicLite 18650, Xeno S3A, Eagletac D25LC2, Niteye MSC20, Spark SL6S-740NW. 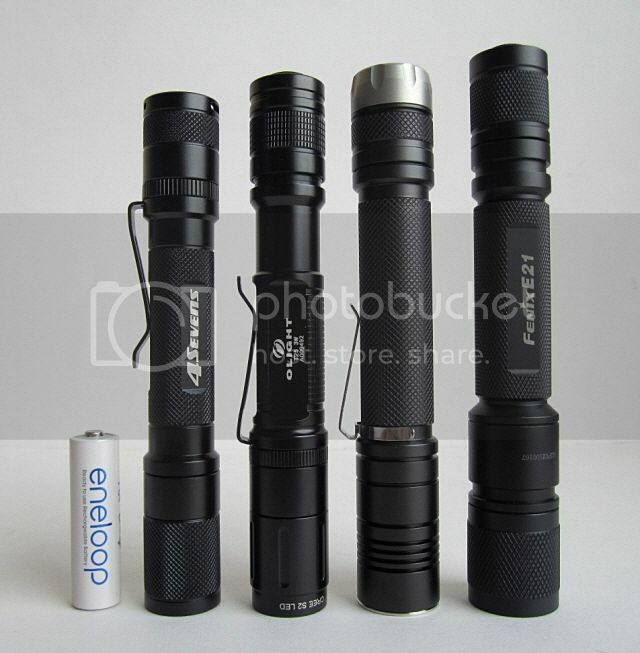 From left to right : Eneloop AA, 4Sevens Quark 2AA, Olight T25, Niteye MSA20, Fenix E21. You may use both your thumb and forefinger on either side of the control ring while holding the rest of the light with other fingers & palm to adjust the control ring. The gripability & twisting the control ring are reasonably good. On-Off & ramping are controlled by the PD switch – press and release to turn the light on or activate each output level. Turn the light off by pressing and releasing the PD switch again. Mode switching is controlled by the magnetic control ring. The control ring has 4 mode positions (or 4 detents). 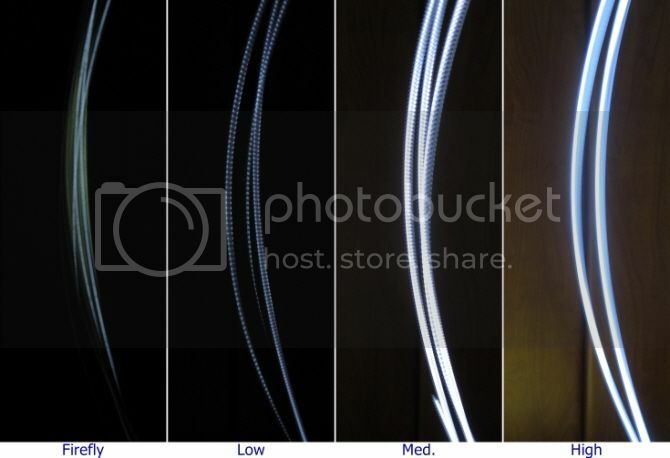 i.e., there are [Strobe] - [Off] - [Preset] - [High], arranged clockwise. The Preset mode is a memorized custom output level, selected by the user. This mode has memory, and retains the last setting used. If you press and hold the PD switch when the control ring is at Preset position, the light will ramp up from the current set level to high. 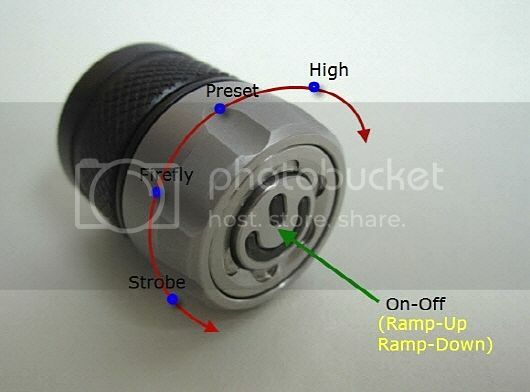 (Note the light does not ramp back down to low. It just stays at high level.) If you release, press and hold the PD switch again, the light will ramp back down to low. Also the light stays at low level. This ramping up or down continues until you let go of the PD switch, at which point the current output level is set and memorized unless you do start a new ramp. 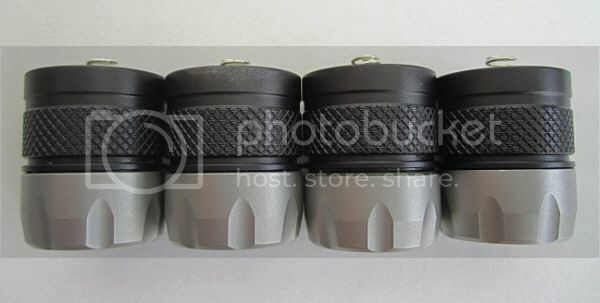 My MS samples all suffer from a brief "pre-flash" of momentary higher output when making initial contact of the battery with the tailcap and a second pre-flash when loosening the tailcap. 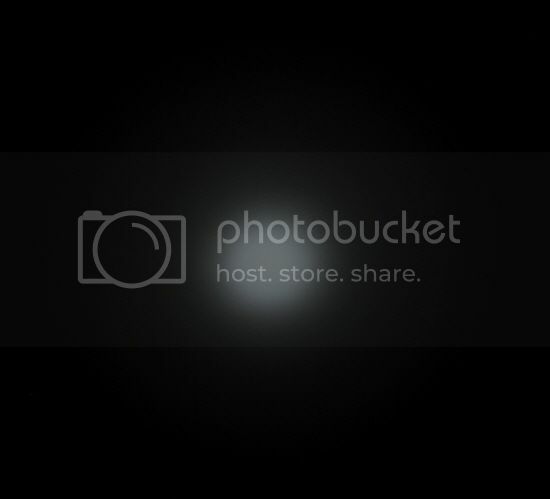 It's not severe, but may be annoying for some users. I think this per-flash is not mostly unrelated to the PD switch. Ramping time is just 4 seconds for each ramping up or down, and all samples are the same. The low output level of the ramp is brighter than firefly as expected. 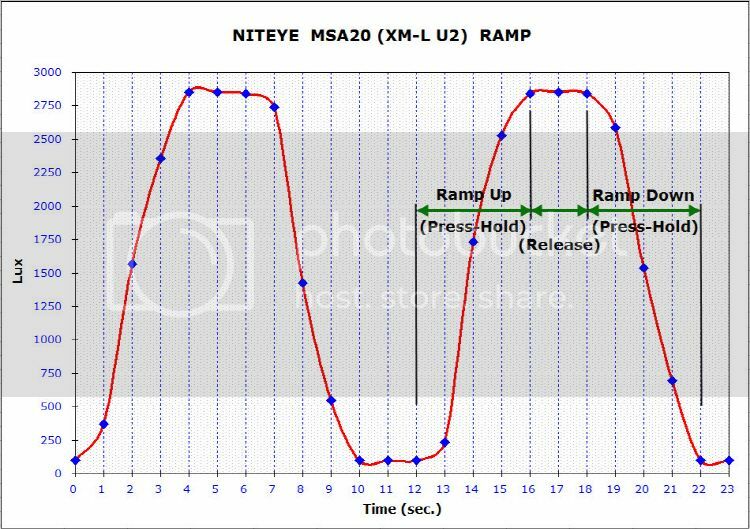 The ramping time is too quick to select the output level, so I'd like to suggest Niteye to increase the ramping time to 8~12 seconds on the production version. Due to the magnetic control ring interface, the MSA20 is drawing a small current when the light is fully connected. I measured this current as 0.33mA. Since the cells are arranged in 2S, for 2xEneloop AA (2000mAh) cells, that would translate into around 8 months before they would be fully drained. This is not bad, not a concern. 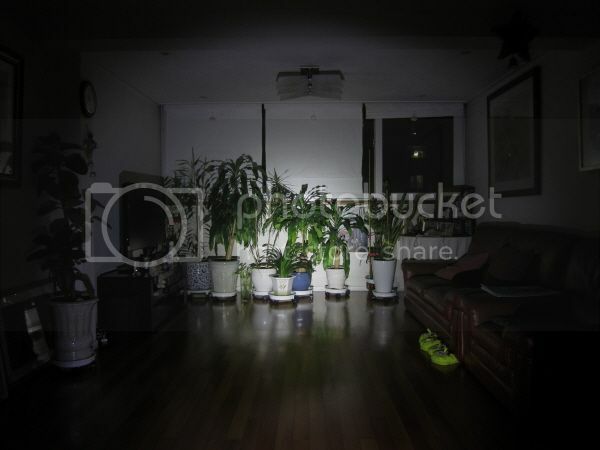 But I would recommend you to store the light locked-out when not in use. 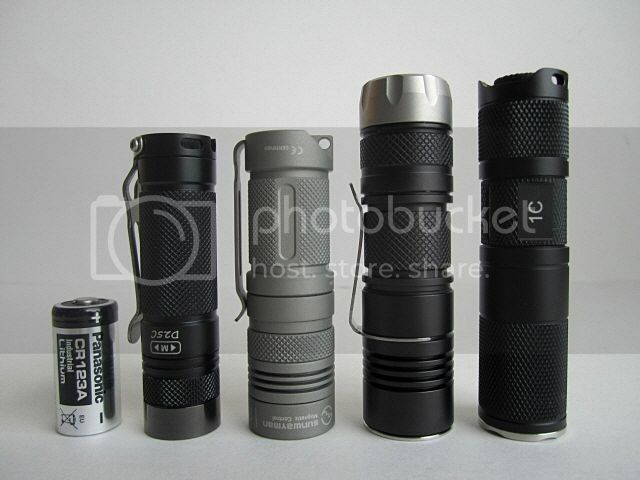 I can see flickering at the rest except Firefly & High output, but can't see it visually in practical use. I notice that there is no buzzing sound on any ouput levels. I think the performance on 2xAA Eneloop seems good and reasonable as I expected. 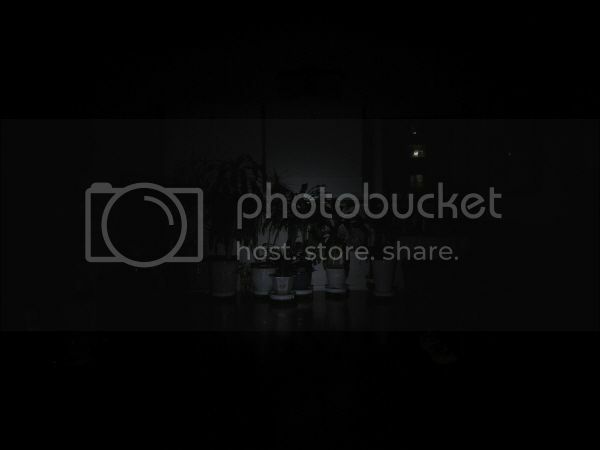 The runtime for 50% output of high & med. is appr. 90 mins and 172 mins respectively in my test. The runtime for 10% output of high & med. is appr. 92 mins and 179 mins respectively. It doesn't seem like a firefly mode, looks like very low to my eye. Sorry that resuming this abandoned topic. chm0, кнопа электронная. Причем работает так (ни где не видел об этой фишке, может пропустил или не понял): если выключаешь кнопкой из, к примеру, режима Хай а потом кольцом крутишь в Лоу - то фонарик включится, хотя кнопой мы его выключали. Про мембрану не скажу, не разбирал еще..
MSA, кажется, всё (. Сняты с производства, есть кое-где по коллекционерским ценникам.